If you look in the FCPX Titles Effects Browser under the Lower Thirds Category you will notice an Information Bar Lower Thirds. The is a bundled FCPX Title. The title itself is actually quite stylish. It’s subtle, with a semitransparent black bar and customizable text positioned on two lines. A few days ago I was sifting through a forum and noticed a post by a member who uses this title regularly. He was asking for help regarding the opacity of the “bar.” Basically it’s opacity was not customizable. It was preset to somewhere around 50%. The forum member politely asked if someone could possibly load up the title in Motion, tweak in an Opacity slider for the bar, and make it available. I knew this would be easy, especially if the default Title supported the “Open a copy in Motion” option. It did and the rest is history. If you review the settings snapshot below you will notice I added additional options that make my version much more useful, at least for me. I added support for Global Y Positioning (more on this below), Fade In/Out Frames, Bar Opacity, Bar Left Indent, and Bar Roundness. By default the Title places the text within the 1.78:1 Title Safe Area located at the bottom left of the zone. The Global Y Position setting allows the operator to cumulatively move all Title elements up on the Y axis to 2.35:1 Title Safe positioning. The Original version of the Title has two check boxes that control whether all elements fade in and/or out. I added Fade in and Fade Out sliders that support frame by frame customization. Setting the sliders to zero results in no fading. Bar Opacity is now supported. I believe I set this up to default to 50% Opacity. Regardless – it’s now fully customizable. Bar Left Indent is an interesting setting. Notice there is also a Bar Roundness setting that will change the shape of the bar. Since by default the bar is anchored to the left of the image frame, applying roundness to it results in a partially obstructed left edge. The Bar Left Indent setting moves the bar’s left edge in a few pixels to the right to compensate. In fact It can be used without any roundness applied as well for creative purposes. There have been some reports of font change instability. In fact this behavior is also present in the original version of the Title. I found this to be not that big of a deal. The Installer will place the Title in the FCPX Titles Browser under the Custom Lower Thirds Category/Information Bar Theme. 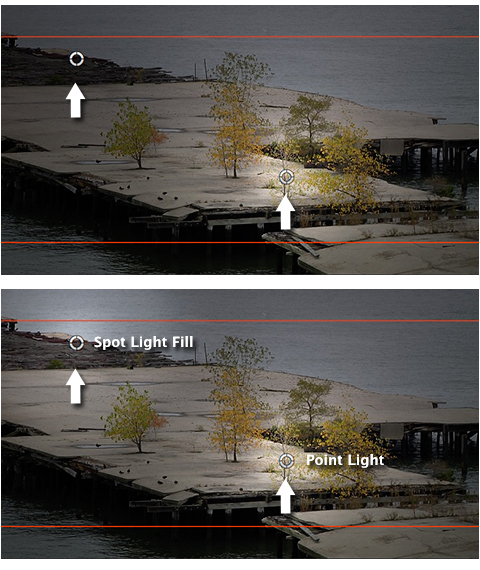 As noted there are two Light Source options:Spot and Point. You can set the color of the light to suit your needs. Global controls include Intensity, Falloff, and Falloff Start. There are two dedicated controls for the Spot source:Spread Control and Edge Softener. The positioning of the light is controlled by a Drag Target. Incidentally both light sources are flat and frontal. I really like the Point source lighting. You can create some very interesting looks and cinematic mood lighting scenarios., especially when experimenting with different color light sources. Check out the produceNewMedia Vimeo Page for a demo. There is also a demo for Cinemascope Toolkit on that page as well. 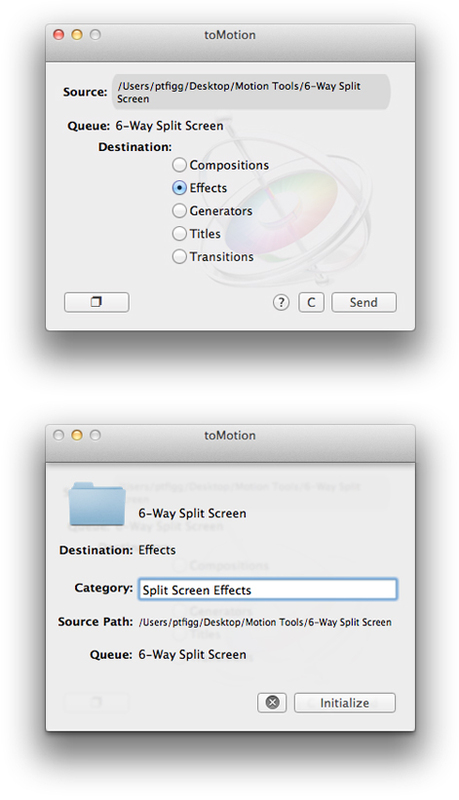 The custom installer will send the effect to a new Lightsource Category located in your FCPX Effects Browser. I’ve released my Cinemascope Toolkit. 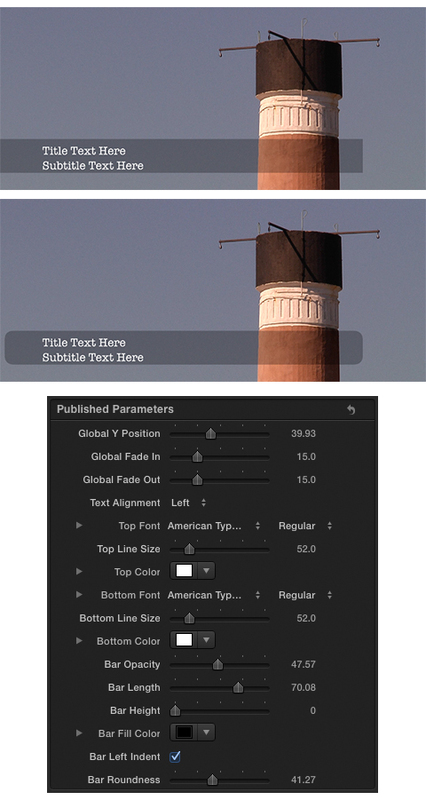 The package includes a basic 2.35:1 matte (“Cinemascope Crop”) created in Motion and wrapped in a FCP X Effect. 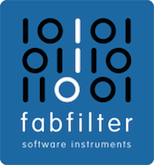 The Effect supports video Scale control and X/Y positioning. I’ve also included four Compressor Presets that output cropped MPEG-4/H.264 videos. 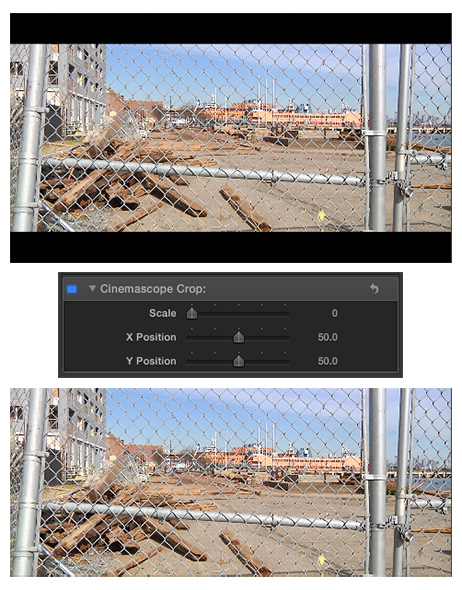 Frame things up in FCP X and output using one of the presets for 2.35:1 aspect ratios. The Installer is hard coded in Objective-C. All asset routing will be handled automatically when you run the installer. 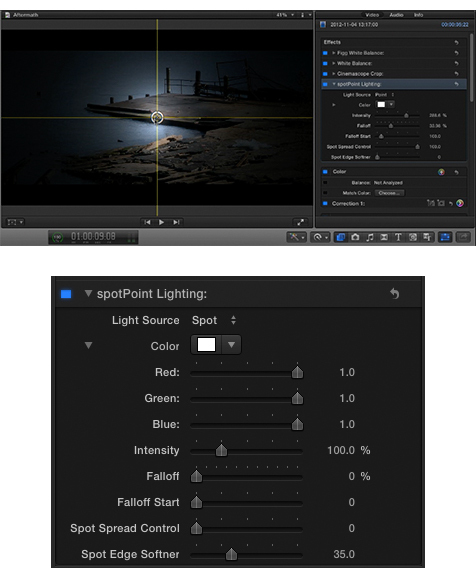 The Effect will be installed in a Matte Category under a Widescreen Theme in the FCP X Effects Browser. 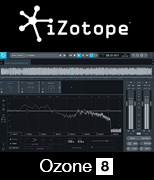 The Compressor Presets will be located in the Settings window under the Custom/CinemaScope Presets – Settings Group. You can edit whatever is defined by the installer. For example I did not edit the naming convention that I use for my Compressor Presets. They all begin with the first four letters of my name. And of course the preset parameters can be edited to suit your needs. You can customize the FCP Category and Theme as well. 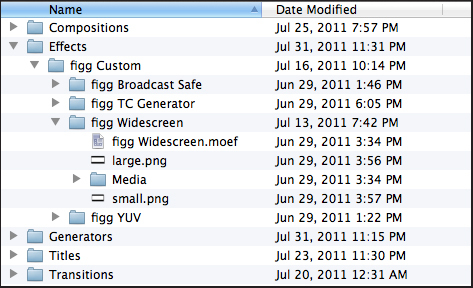 After installing the toolkit – pull the Cinemascope Crop folder out of the ~/Movies/Motion Templates/Effects/Mattes folder. Use my toMotion application to customize.